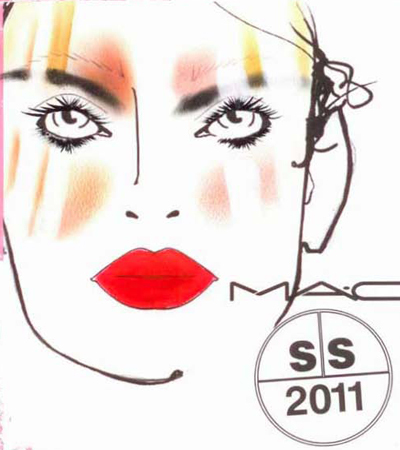 Paris Fashion week ended more then 2 weeks ago but I totally forgot to post MAC Spring – Summer 2011 face charts so I will just do it now. I’m gonna start with the face charts seen at Paris Fashion week on 30 September 2010. Enjoy! There’s a lyrical movement to the clothes, and that was my inspiration for the look. Vanilla Pigment – applied to the inner corner of the eyelid. Fucshia Pigment – applied to the outer corner of the eyelid. Blacktrack Fluidline – to create a feather-like line along the top and bottom lash lines drawn out past the outer corner of the eyelid, and also to create feather-like lashes drawn onto upper and lower lash lines. Lash 44 – applied to the upper lash line. Lash 36 – applied to the lower lash line. Red Lip Pencil – drawn over the lip. Clear Lipglass – applied over the lip pencil. 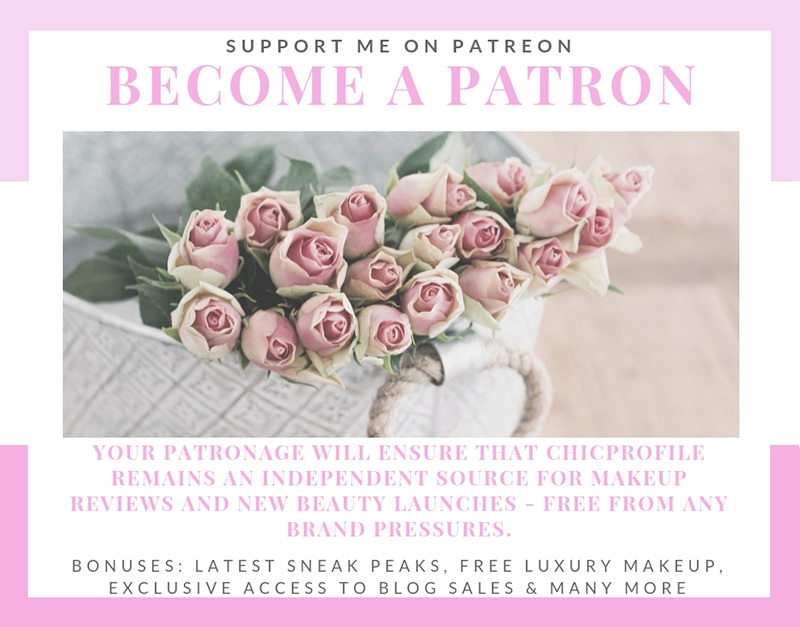 Studio Sculpt Foundation – to perfect the skin. Springsheen and Mocha Powder Blush – blended onto the cheekbones and temples. Vanilla Pigment – to highlight the cheekbones. Fling Eye Brows- used to draw a moth wing shape over the lids and up past the brows. Deep Brown and Polished Ivory MAC PRO Paintsticks – mixed together and blended over the moth wing shape. Omega and Copperplate Eyeshadow – pressed over the paintstick for a powdery matte texture. Studio Finish SPF 35 Concealer – brushed through bleached brows. Dim Lip Erase – patted over lips. Face and Body Foundation mixed with White Face and Body Foundation – to create a base several shades paler than each girl’s natural skin tone. Prep + Prime Transparent Finishing Powder – to set the foundation. The look is very Graphic and Conceptual – it’s a play on positive and negative. Virgin Isle Cream Colour Base and Chrome Yellow Eye Shadow – blended onto the eyes from crease up over the brows and out toward the temples. Painterly Paint Pot – to highlight eyelids and accentuate the stripes. MAC PRO Black Full Coverage Foundation – drawn through the crease and out toward the temples. Zoom Fast Black Lash – applied to top and bottom lashes. MAC PRO Lipmixin Crimson and Orange – blended onto the lips. Neo-Orange Pigment – patted over lipmix for a matte lip. Virgin Isle Cream Colour Base and Chrome Yellow Eyeshadow – blended onto the cheeks and back toward the hairline. Strips of tape were applied from cheeks to forehead and later removed after makeup application to create stripes without product on face. You shouldn’t be able to see the makeup – it just perfects this girl. Dazzle Lash Mascara in Black Dazzle – light application after curling the lashes. 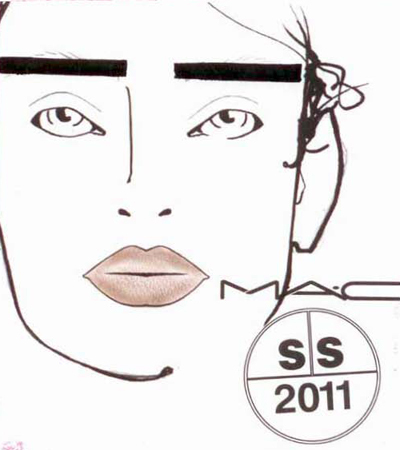 Coffee Pencil – drawn subtly under the top lashes. 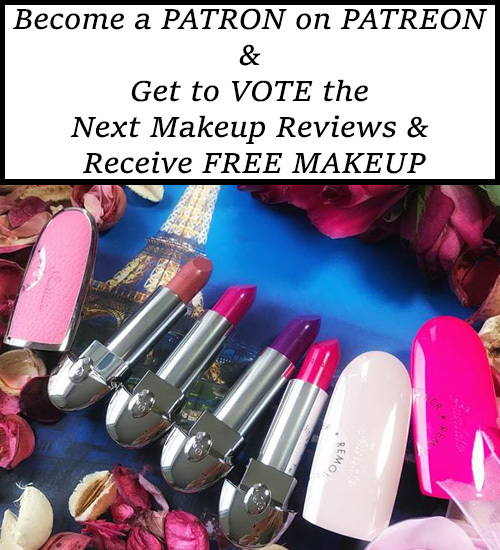 Lip Conditioner – patted onto the lips. Face and Body Foundation – applied for sheer coverage. 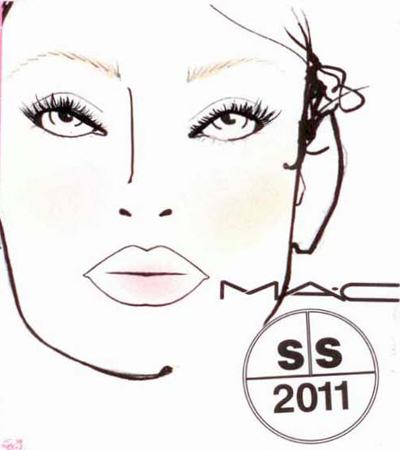 Taupe Blush – to slightly contour the cheekbones. Mineralize Skinfinish Natural – to bronze the skin. It’s about sharp contrasts with clean lines. Black against white. Very pure…very edgy. Luna Cream Colour Base – on upper lid. Shroom Eyeshadow – on inner corner of eye. 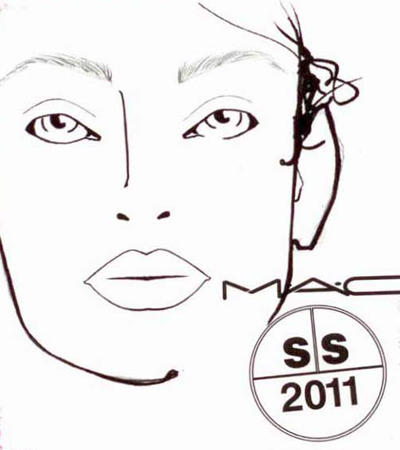 Superlipstick Liquid Eye Liner in Black – an entirely new brow is drawn on horizontal and square with a slight upwards tilt. Clear Lipglass – applied over brows to give a wet look. Lip Conditioner – to prep. 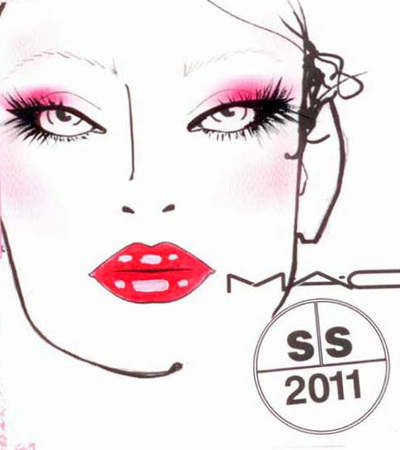 MAC PRO Lip Mix in White and To Pamper Lipstick – blended and applied to the lids. Face and Body Foundation – applied to the skin matching tones and then with a darker shade used to contour. 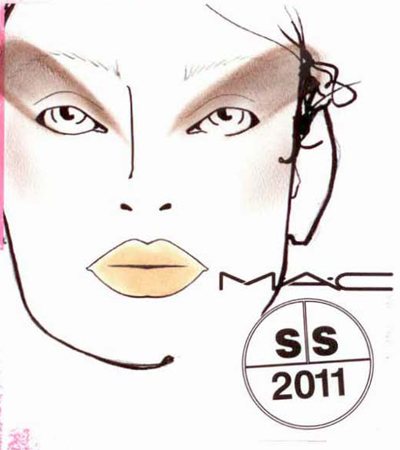 MAC Pro Sculpting Creams in Bark and Accentuate – applied with 188 brush under the cheekbone. Luna Cream Colour Base – added as a highlight on upper cheekbones, cupid’s bow and down center of nose. The look is shiny shiny shiny, not sticky, more like wet shiny, fresh, healthy. No products were applied to the eyes. Lip conditioner – to moisturize the lips. Pro Longwear Concealer – to cover imperfections. So Sweet So Easy Cream Blush – available 2011 – buffed onto the cheeks. Face and body were then sprayed with a high gloss spray to achieve the wet look. The first look is very pretty! I love the lashes on the first look!